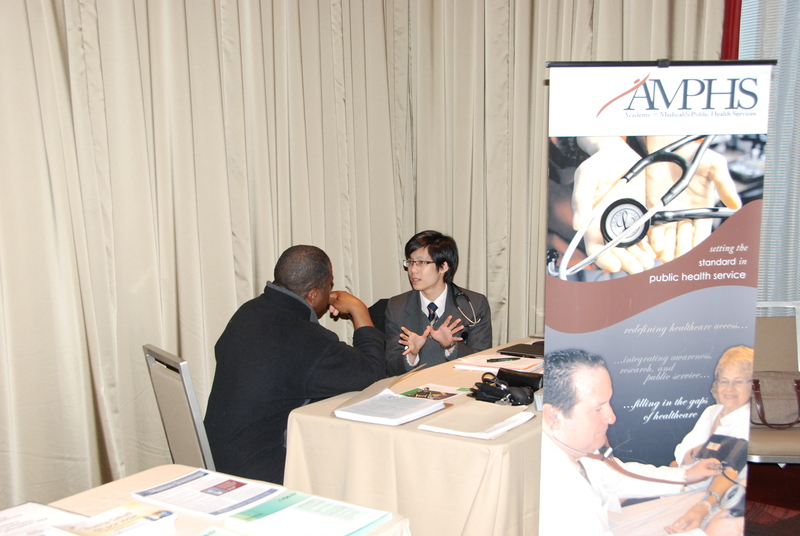 Schedule a Health Event with AMPHS at Your Center! Community organizations are invited to schedule health events with us this spring. 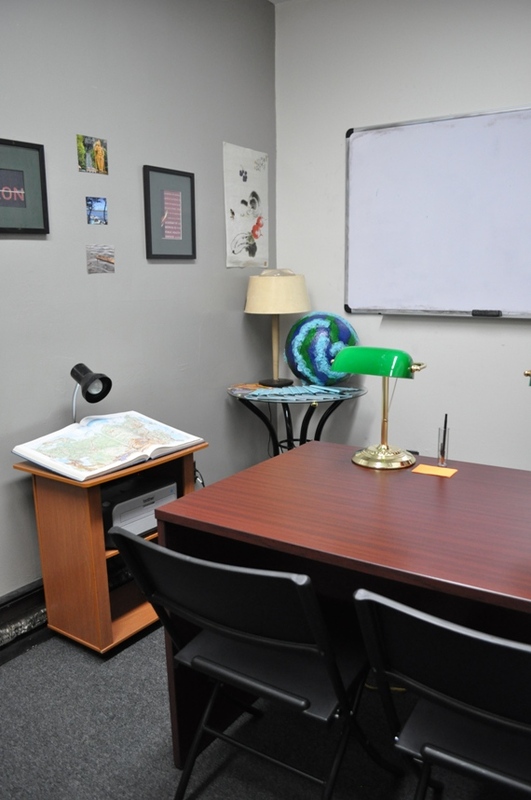 Here at AMPHS, we make our biggest impact by providing individuals the opportunity to interact with our clinicians and social workers as a group and one-on-one. While we hold monthly in-house screening events, much of our work takes place outside of our facilities with our community partners. 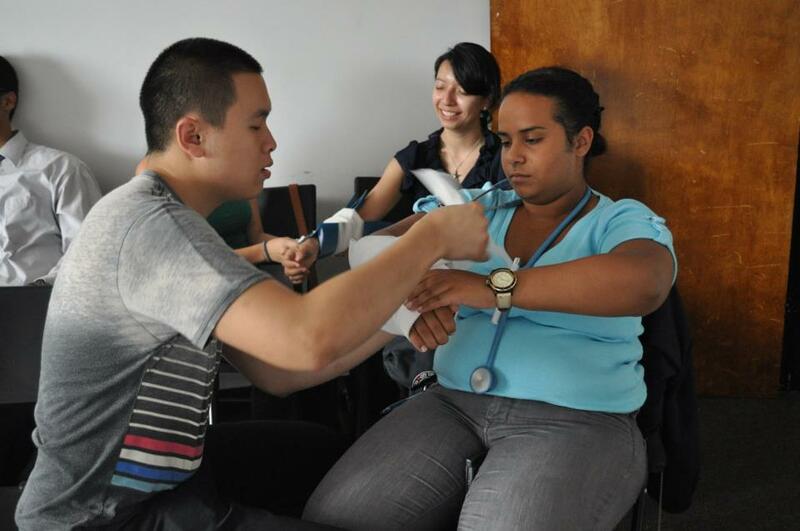 Health screenings, including BMI, blood pressure, vision, memory, HIV and hepatitis C screenings. 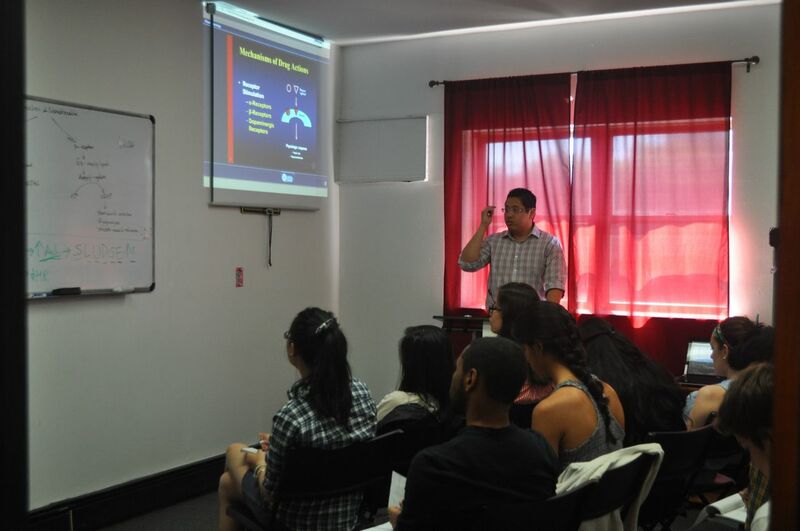 Health workshops related to disease, health and wellness, conducted in three languages (English, Spanish, Chinese). 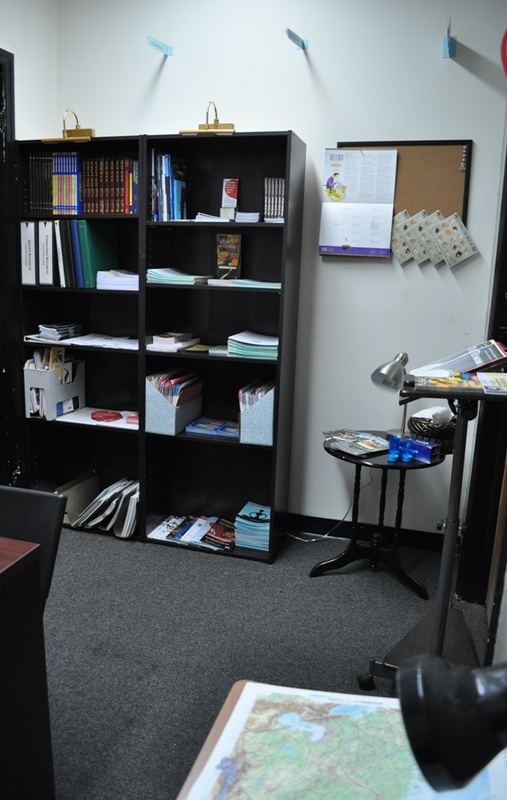 Lifestyle plan and social service counseling, where clinical volunteers and social work staff will sit down with community members to evaluate and their lifestyle behaviors and social situations and provide the best lifestyle plan and health insurance, prescription, and vision assistance options. 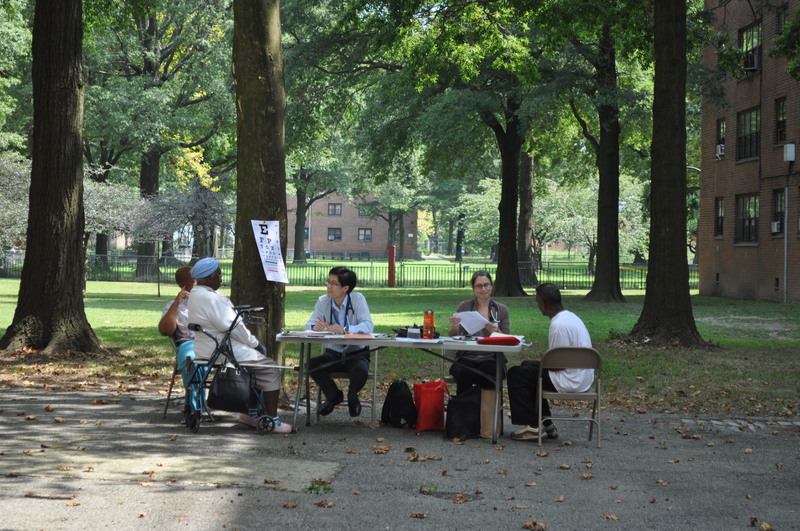 Health-related services are desperately needed in communities like Sunset Park, where many people have not seen a healthcare professional in years. In addition, many are unwilling to see a doctor because they haven’t seen one in years, and are afraid of costs that might incur or potential deportation if they are undocumented. Issues like mental health are highly stigmatized and people are not motivated to attend counseling sessions or workshops. 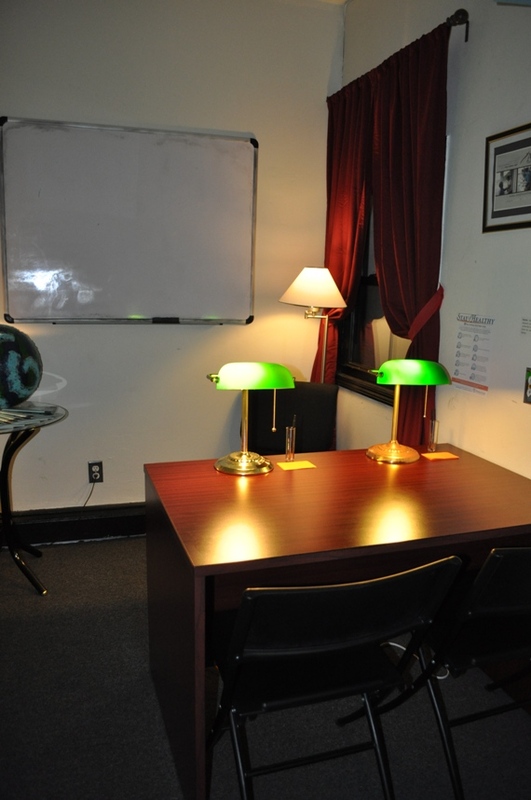 To help deal with some of these issues, AMPHS offers its services in a safe, comfortable environment. AMPHS is blind to identification and insurance status and offers its services to the community at large, regardless of whether or not community members can afford them. 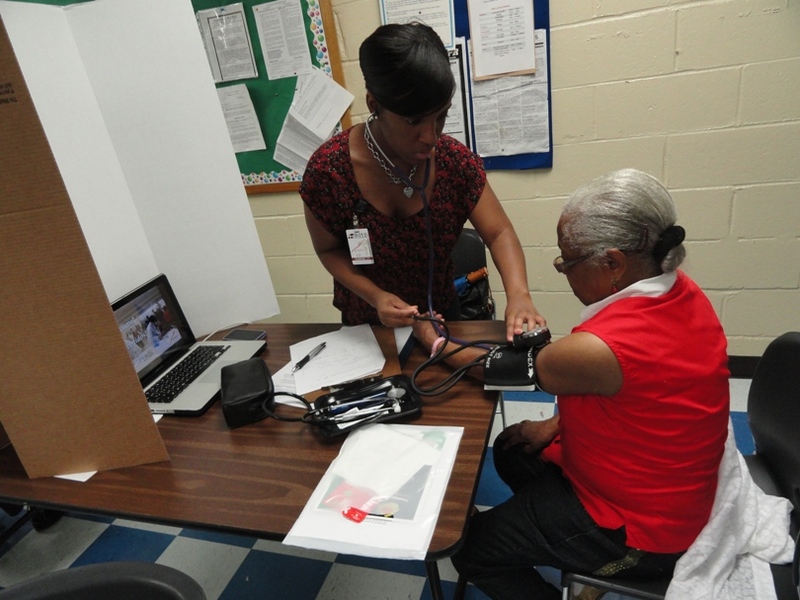 Community members who attend screening and healthcare-related workshops will return to AMPHS for longer follow-up care and to seek additional social services. 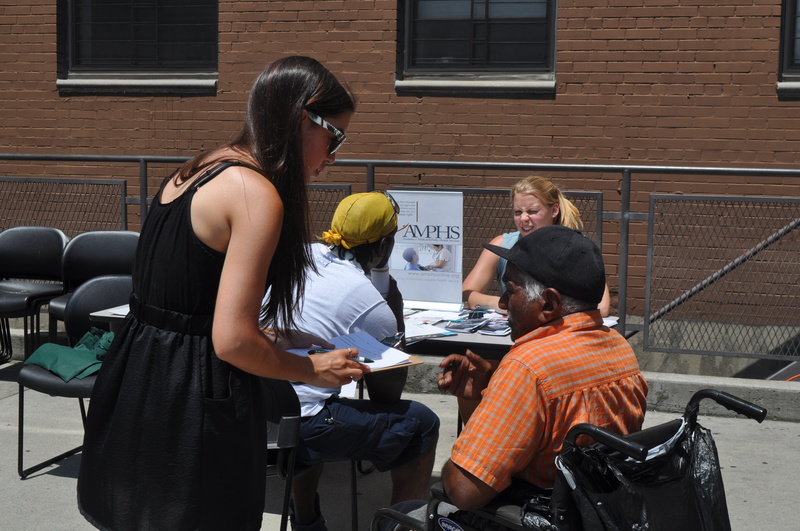 While AMPHS does not substitute a regular provider, it attempts to be the intermediary providing community members with the knowledge of their health risk factors, prevention methods, and resources for health access. AMPHS is proud to announce a new partnership with the New York Lawyers for Public Interest (NYLPI). 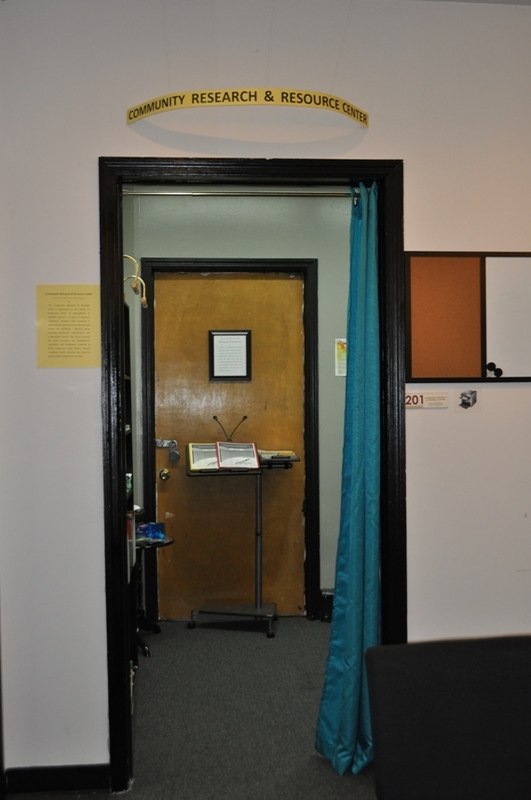 Based in New York City, the mission of NYLPI is to facilitate equality and civil rights by furthering justice in the realms of health, disability and the environment. Institutional barriers such as a lack of proper healthcare providers in underserved neighborhoods and segregation of patients based on income are only some issues that people of color face. 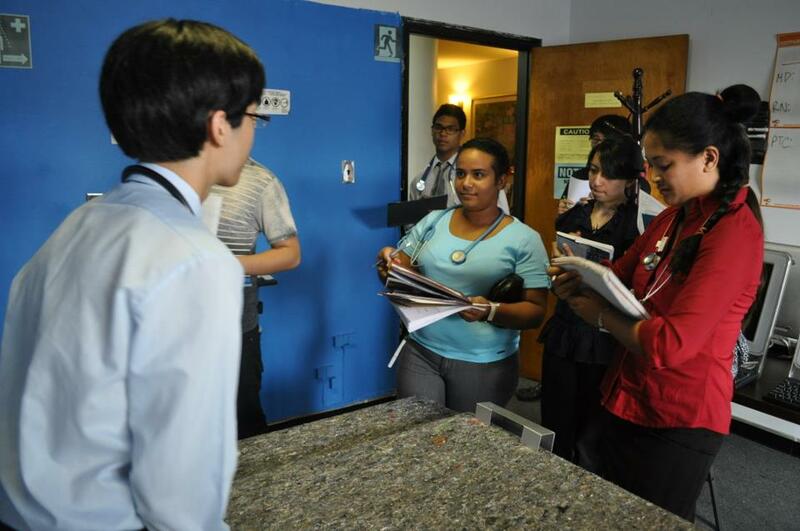 By partnering with hospitals and healthcare organizations, NYLPI fights against closure of clinics, challenges the practice of unequal healthcare and organizes community outreach events, so that immigrant families can gain healthcare information in the language they speak. NYLPI is one of the few organizations in New York that aims to bring racial justice to health care advocacy. AMPHS, in collaboration with NYLPI, will work to help connect underserved immigrant community members with the proper resources so they can receive the healthcare they deserve. In line with its mission, NYLPI will provide legal help and counseling for uninsured and undocumented immigrants, and act as advocates for individuals that have been denied access to care. This includes helping AMPHS clients file legal paperwork and contacting hospitals to ensure that community members get the medical help they need. Staff attorneys will also connect community members to their extensive referral network for additional legal or social assistance as appropriate. 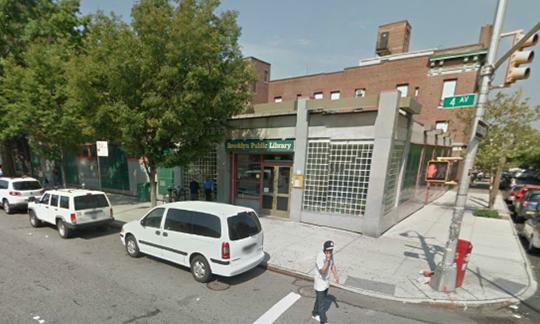 Moreover, NYPLI plans to work directly with AMPHS to provide free “Know Your Rights” workshops to the Sunset Park community as well as equip AMPHS volunteers with the resources for counseling and advising community members seeking help. 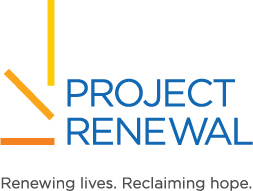 Project Renewal is a non-profit organization based in lower Manhattan; its aim is to end the cycle of homelessness by empowering homeless men and women with mental illness and/or addiction the means to rebuild their lives. 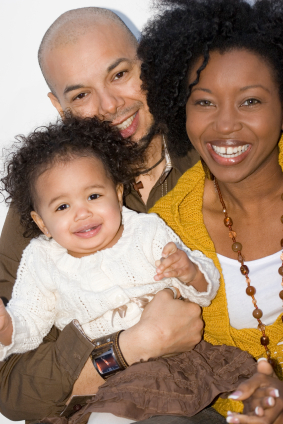 Project Renewal provides comprehensive services to families and individuals to empower them to take control of their health and well-being. 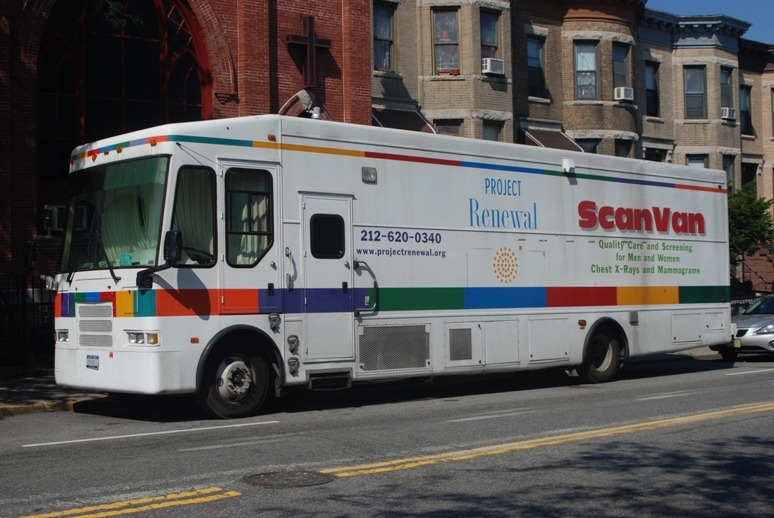 A massively successful endeavor of Project Renewal is the ScanVan Program. This program is a mobile clinic that provides mammograms, chest X-rays, and cervical exams to New Yorkers, regardless of their medical insurance status. The ScanVan Program is a free service offered to women and men of all economic and cultural backgrounds. 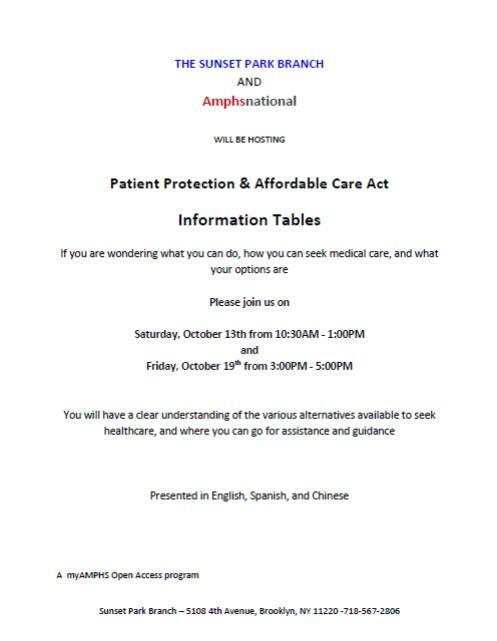 On Saturday, the ScanVan will be parked outside the AMPHS office in Brooklyn Sunset Park, offering its services simultaneously with AMPHS’ monthly in-house screening. 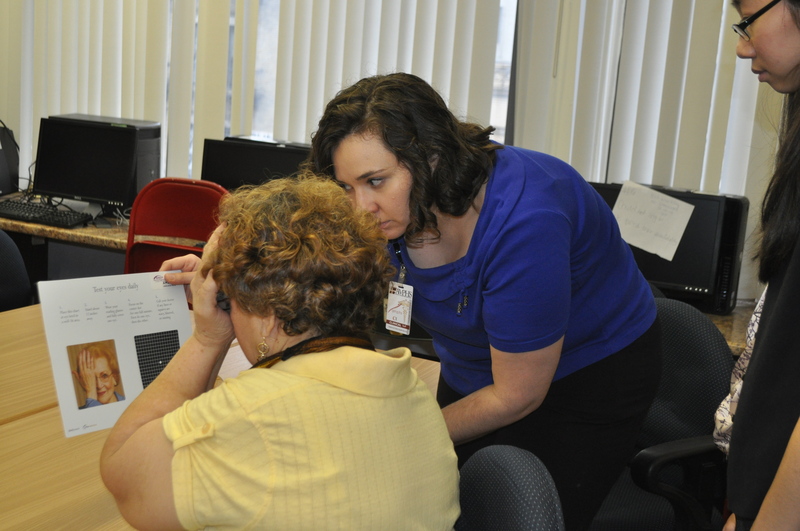 Project Renewal will provide mammograms for women 40 and older who haven’t had a mammogram in the past year. 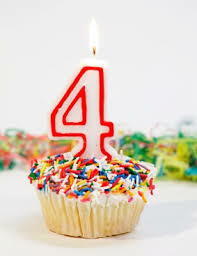 Women under the age 40 but with a history of breast cancer in their family are also advised to get themselves checked. This service is offered for free to all participants; those with health insurance will have the service covered by their insurance companies with no out-of-pocket costs and individuals without health insurance will obtain the service at no cost. What is breast cancer and who should be screened? Breast cancer is the second leading cancer-related cause of death after lung cancer in women. Compared to 1989, the incidence of breast cancer has decreased dramatically because of earlier detection through better screening procedures. 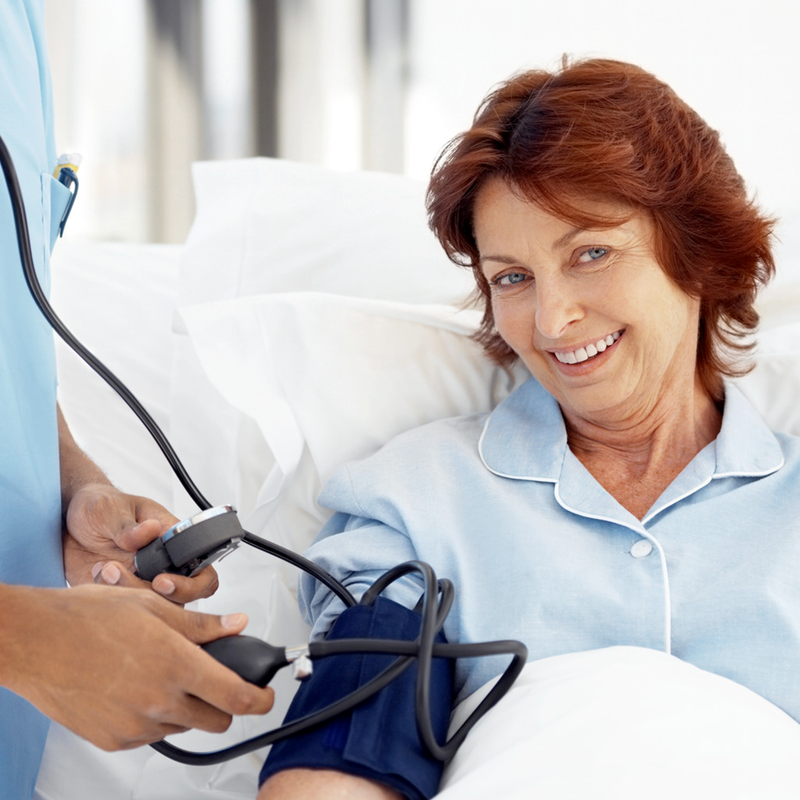 Hence, screening services for breast cancer are very important. Almost 40% of diagnosed breast cancers are detected by women who feel a lump in their breasts. 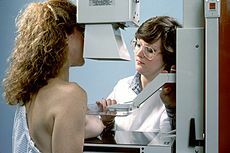 While women above age 40 are generally at higher risk for breast cancer and should perform an annual mammogram, professionals recommend that all women conduct a breast self-exam (BSE) beginning in their twenties. Know your breasts! A self-breast exam is about knowing what is normal for you. Check at the same time every month: a week after your period for premenopausal women and the same date of the month for postmenopausal women. Use your eyes and hands to look and feel for changes in lumps, thickness, density, or anything that concerns you. Don’t be afraid to ask your doctor about any lumps. Most lumps will not be cancer, but seeing your doctor is the only way to know for sure. A mammogram is an X-ray that allows a qualified specialist to examine the breast tissue for any suspicious areas. The breast is exposed to a small dose of radiation that produces an image of the breast tissue. It is important to get a mammogram because it can often show a breast lump before it can be felt. The lumps can be caused by a variety of conditions (e.g. cancer, fatty cells or cysts), but doing the necessary test (mammogram) is the only way to know for sure. A mammogram consists of placing the breasts, one at a time, between two plates. The breast is compressed between the plates, and then exposed to X-rays. In this way, two pictures are taken of each breast –one from above, and one from the side. 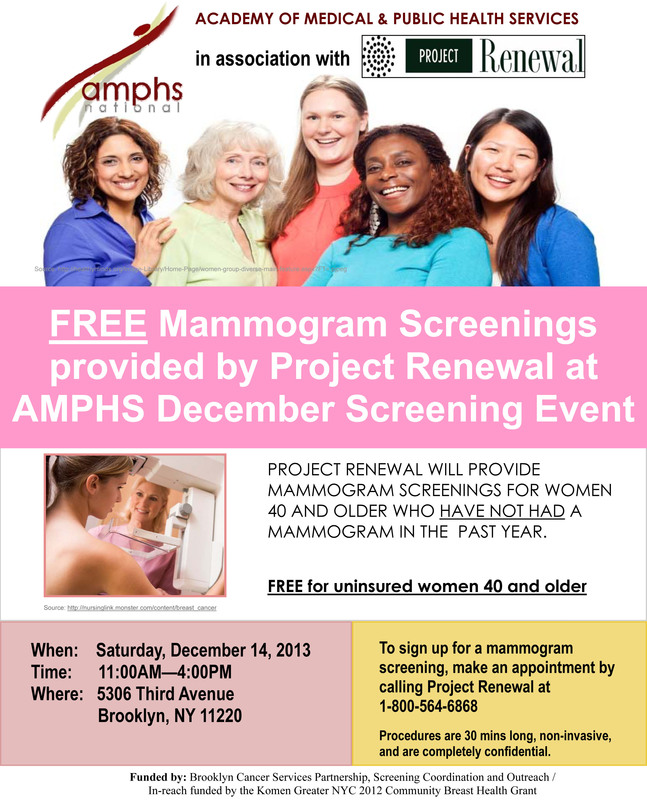 Come get a free mammogram and other screening services during our monthly health screening event. Make an appointment by calling the number below. 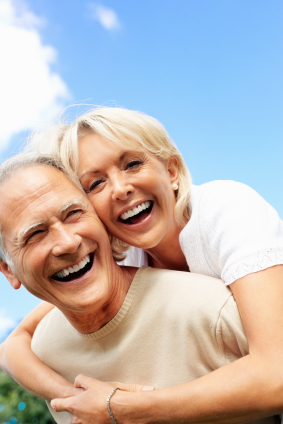 Procedures are 30-min long, non-invasive and completely confidential.